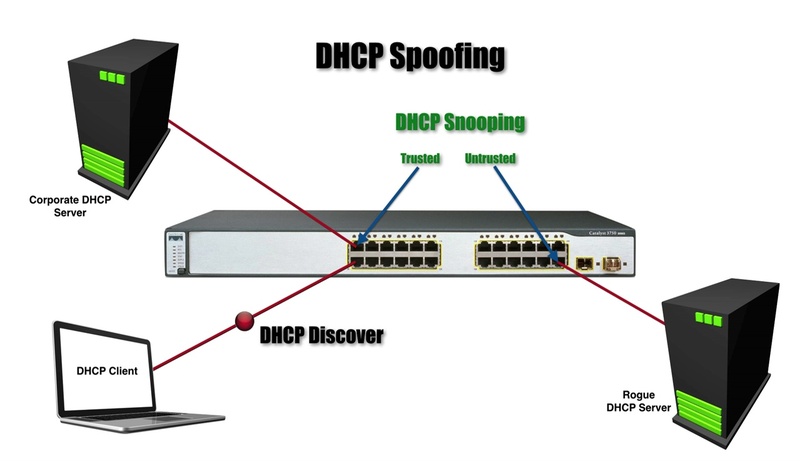 What if we have malicious user introduce a “Rouge DHCP Server” on the network. And which received by the legitimate(True) DHCP server and Rouge DHCP server. 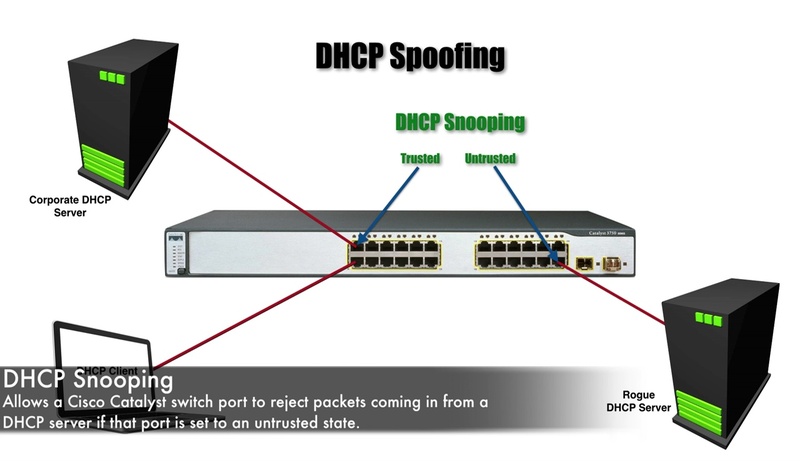 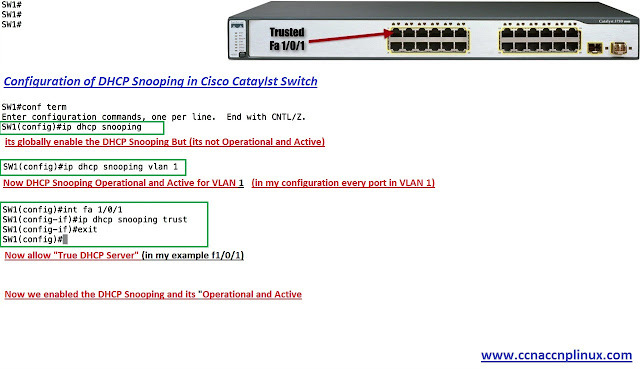 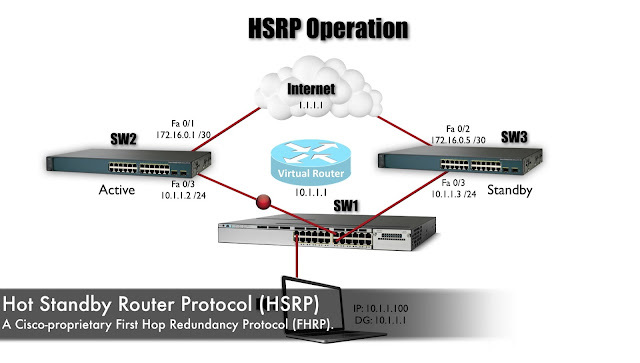 When the Rouge DHCP server responded within offer, it would be rejected by that untrusted port running a DHCP snooping. 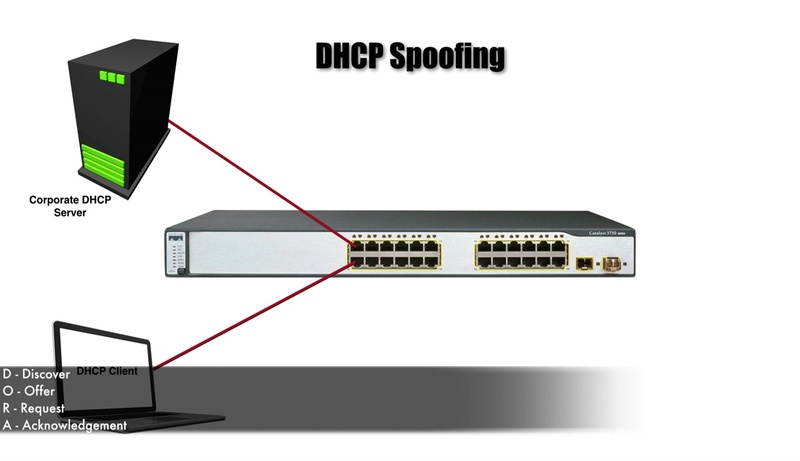 In addition to having Rouge DHCP server on the network, another DHCP Threat called DDOS(Denial-of-Service) Attack. We can have somebody that start flooding our legitimate(True) DHCP server with overwhelming number of DHCP discover message. 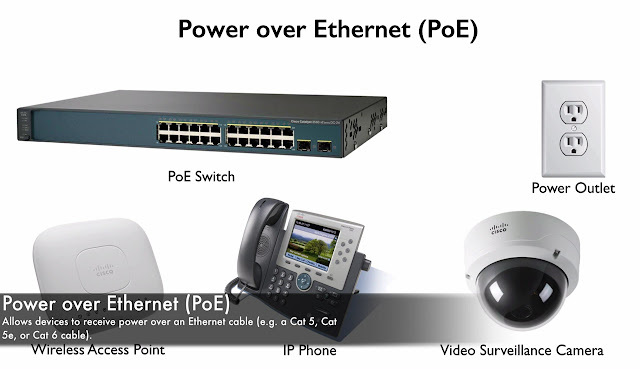 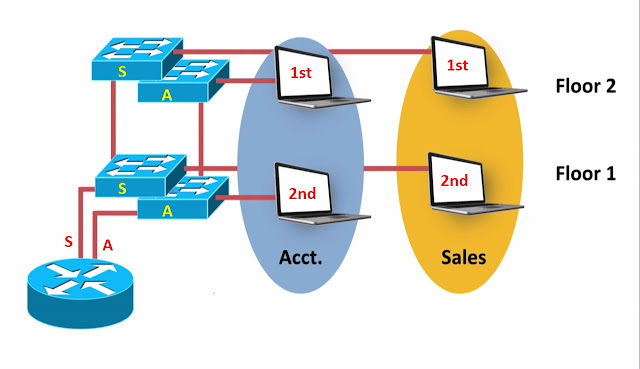 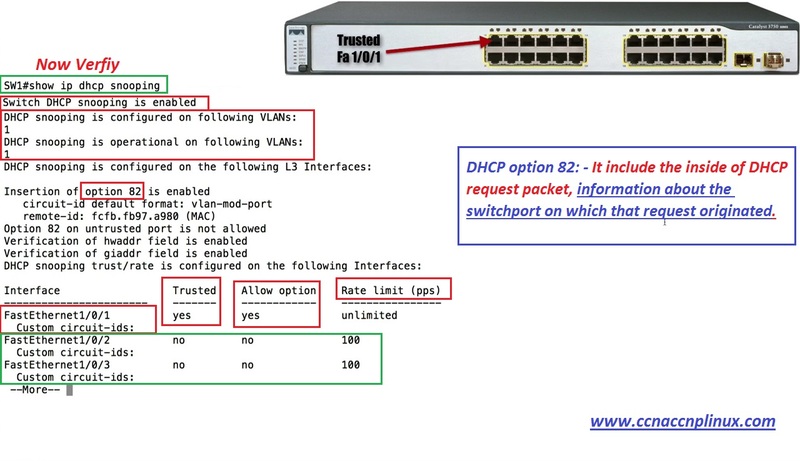 We can do our untrusted ports typically we can limit maximum amount of dhcp traffic going to be allowed that port. 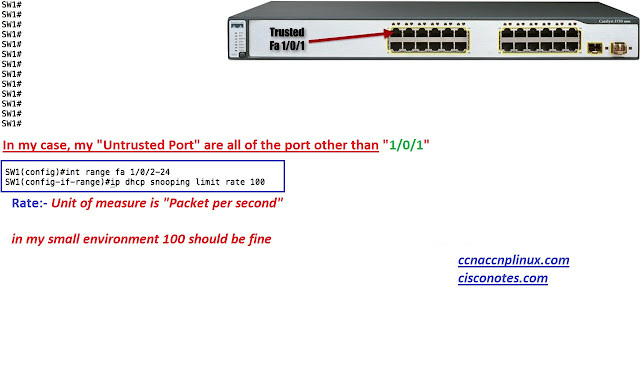 We can set DHCP rate limit on untrusted port.